Obesity in children is a serious problem that intervenes with their natural growth if not controlled as soon as possible. From balancing their diet with healthy food to keeping them active, as a parent, you have to consider all these factors. Restricting their diet without consulting a health nutritionist is not advisable. See a dietician before curbing their calorie intake and prepare meals that will help in their growth and development. In this blog post by Trillium School, a preschool in Markham, we are going over a few tips that will help prevent obesity in your children. Healthy eating is the secret behind beating obesity. A few changes in food habits can bring about a big difference. Include green leafy vegetables, fruits, low –fat or non-fat milk or dairy and whole-grain products in their diet. Instead of consuming red meat, have them eat lean meats like poultry chicken, fish, and beans for protein and lentils. Also, limit their consumption of sugar-sweetened beverages, sugar and saturated fat. Make sure they drink plenty of water. Furthermore, serve them in small portions that are aimed at getting them the nutrients they need and not keeping them full. Children love fast foods such as pizza, burgers and French fries which are available in many fast food joints. Most restaurants use a lot of oil, butter and cheese which is not healthy for your children. You can’t change their favourites but, you can try making them at home by using little oil, butter and cheese. Also, include essential vegetables and meat while preparing these dishes. In this way, they will get to eat their preferred foods while limiting the amount of damage. You need to keep chocolates, ice creams, salty snacks and sweetened beverages outside of your home or hidden away. This is because these are high-calorie foods, and daily consumption of these items can accelerate weight gain in children. Encourage them to eat these items only once in a while or on special occasions only. Children should do 60 minutes or more of physical activity a day. Encourage them to walk, jog, play outside, jump or dance. Remember that children imitate adults, so include these into your own routine for them to follow. Apart from completing homework and reading, children shouldn’t spend most of their time being inactive. Watching television, playing video games or surfing the internet should all be limited. You should limit their sedentary time to 2 hrs per day. Engage them in household activities to keep them busy. 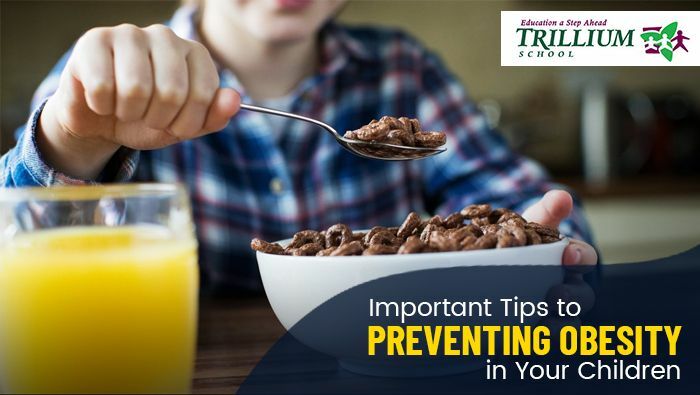 If you follow the above-listed tips, then you will be able to better prevent obesity in your children. Make sure you don’t overdo restrictions as that can make them stubborn leading to an unhealthy lifestyle.